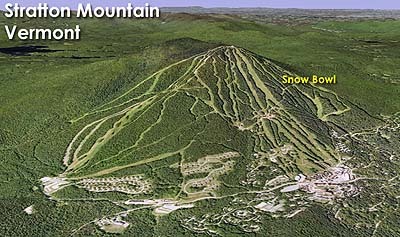 A year after nearby Mt. 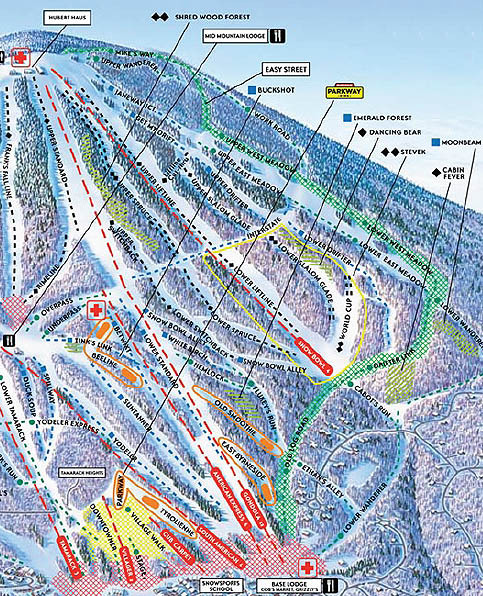 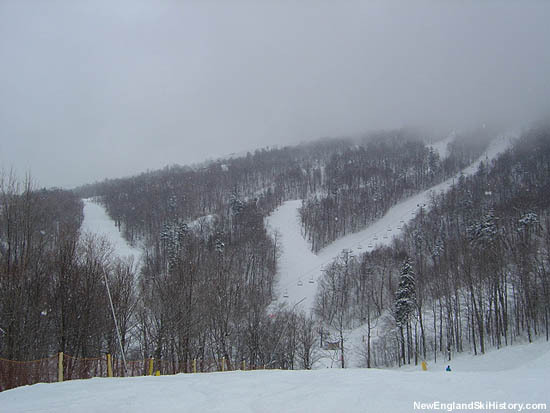 Snow added chairlift service to its North Face area, Stratton opened its own north face, the Snow Bowl, in effort to spread out crowds. 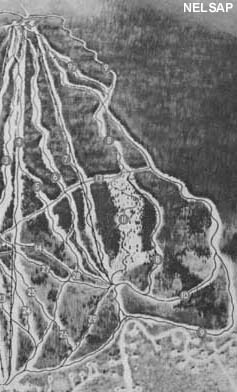 30 acres of trails were added for the 1964-65 season, served by a 1,386 vertical foot Heron-Poma chairlift in the new complex. 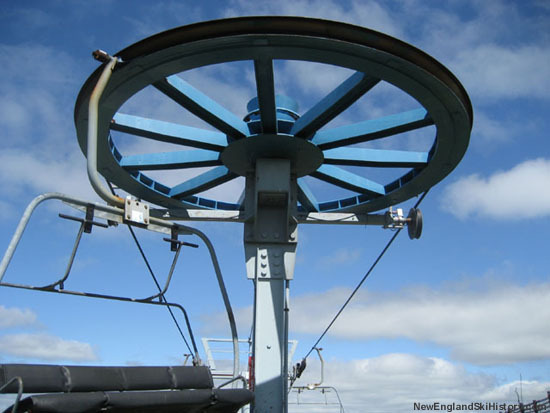 In 1986, the Snow Bowl double chairlift was replaced by a new Poma quad chairlift.